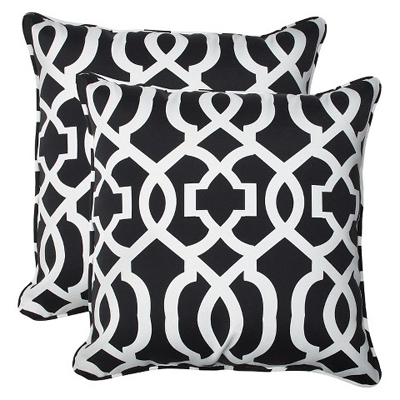 This Black and White Pillow Set makes a great graphic statement indoors and out. Made from UV resistant, weather resistant, fade resistant fabric. Set of 2. $53.99 Sale $40.49. Free shipping. Buy here. 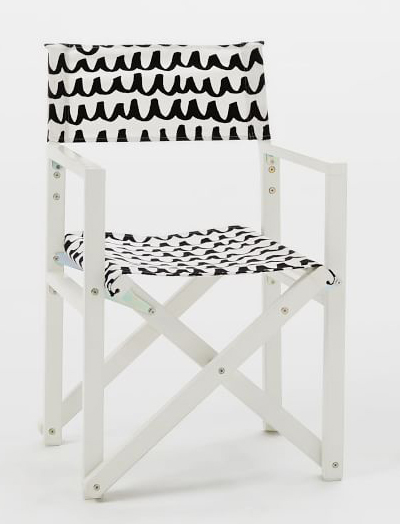 With a sturdy wood frame and attention-grabbing pattern, this Black and White Director’s Chair makes a great addition to your terrace or backyard. It folds vertically, so it’s easy to transport and stow away. $149 Sale $69.99. Buy here. 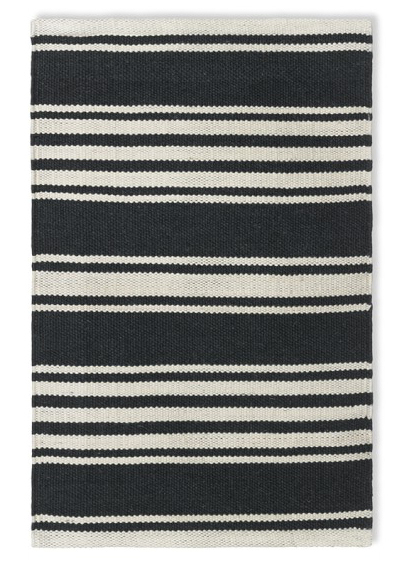 Beach-worthy stripes give this flatweave Riviera Stripe Kitchen Rug its classic style, while thick, recycled yarns make it easy on the earth and exceptionally soft underfoot. 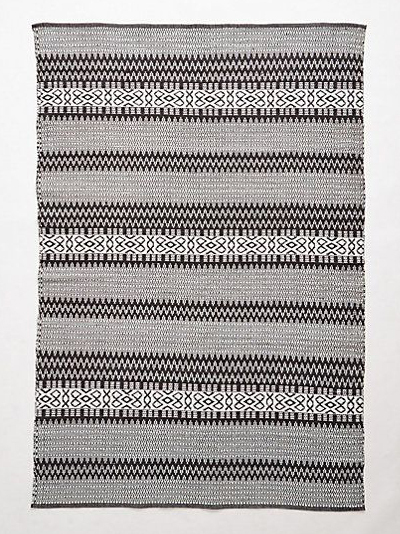 Hand made on a vintage pit loom, the weave is reversible, easy to clean and durable enough for high-traffic areas, ensuring effortless style indoors and out. $29.95-$49.95. Buy here. 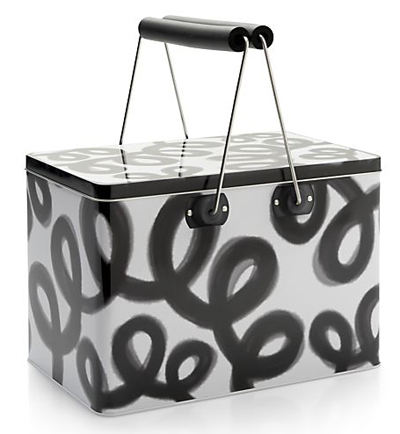 This Pic-nic Box features bold black loops of graffiti-like squiggles on a white lidded box, ready to tote refreshments to and fro thanks to double iron wire handles. $39.95 Sale $29.97. Buy here. From poolside to patio, this handmade, weather-proof Talavera Outdoor Rug is sure to keep your outdoor space looking fresh all season long. $10-$548. Buy here. 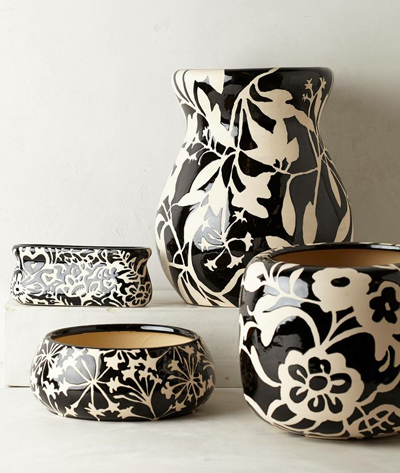 The Fresco Garden Pot is a gorgeous piece of home decor, well-suited to both indoor and outdoor use. Made of Earthenware. $14-$108. Buy here.